While part one of my take on the upcoming year covered the big watch brands, part two, on the other hand, will be about the independents, a segment that will become a lot less crowded in the coming year. Independent watchmaking has been rather lucrative for a select few in the last decade or two – Franck Muller and Richard Mille are two examples that come to mind – with the added benefit of being glamorous and good for the ego. But having one’s name on a watch dial is going from difficult to impossible as the number of independent watchmakers slowly but surely is being whittled down. The independents are being assailed by a slowing market that reduces (or eliminates) demand for their product, while finding it difficult to raise money. Funding is even hard to come by for more established brands: Swiss trading house DKSH has thrown in the towel with Maurice Lacroix, having publicly put it up for sale last year, with no takers to date. 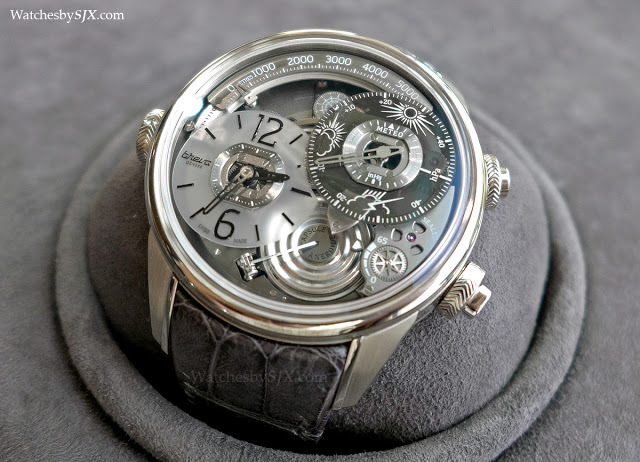 The most recent casualty was Breva, infamous for its US$150,000 mechanical watch with an barometer. It lasted just under five years, going bust in October last year. Other independents will follow suit, with more rather than less following Breva down the road of perdition. Independents are also suffering from a shrinking distribution network, as retailers double down on sure bets and reduce inventory of watches that sell slowly or not at all. While in good times retailers were happy to have slow moving inventory to offer their customers variety, that generosity has dissipated. That’s the reason why independents are increasingly abandoning the traditional distribution network, and opting to sell direct to the consumer, or via online platforms like blogs and forums. This will go some way to alleviating their woes, but the strategy will be more helpful for affordable brands than for those at the high-end. It’s still difficult to sell a pricey watch online or sight unseen. Consequently, the landscape of high-end independent watchmaking will become less populated, and also less interesting as new ideas will not get off the ground. But the weeding out of the marginal players will be healthy of the industry, by reinforcing the prominence of the brands that are on solid ground, and also convincing collectors that independent watchmakers are not flaky outfits. But the independent watchmakers that are suffering are mainly ambitious, self styled haute horlogerie brands. Affordable brands are doing better, SevenFriday being a good example. Equally notable is the rise of crowdfunded brands, including the dozens that are trying to get their seed capital on Kickstarter. Most of these to date have been generic looking, low-priced watches, trying to get on the same bandwagon that has made Daniel Wellington a US$200 million business. More interesting are those that are taking a different route with more unusual timepieces. The best example is klokers, which has surprisingly successful, raising several times its target. Klokers’ timepieces are affordable, but not cheap, and designed to resemble old school instruments, giving them a familiar but vintage look, like the KLOK-01. Given their success, expect others to follow in their footsteps. This is likely to be the segment that will bring surprisingly interesting new products in 2016.